In an ideal world, by now we would all have equal opportunities and pay. Despite the Malaysian government’s increasing focus on this area in Budget 2018, more still needs to be done. Malaysian women have reported the presence of a pay gap. In fact, the Department of Statistics Malaysia’s most recent Salary and Wages Survey Report revealed that male employees received higher monthly salaries & wages (RM2,500) compared to female (RM2,398) employees. While critics have pointed out these statistics are inaccurate as they refer to different people with different qualifications, a new experiment by TERRE DES FEMMES have debunked that argument, providing the ultimate proof that the pay gap exists. Following three trans people who presented once as a man and once as a woman at various interviews, hidden cameras captured that interviewers treated the women differently – especially when it came to salary negotiations where men were offered bonuses that were not even mentioned to women. The three trans people undertook interviews within the fields of project management, pharmaceutical / technical assistant and in the fashion sector with the same CVs, qualifications and fundamental personalities. None of them are actors but are authentic in their presentation of themselves as both genders. 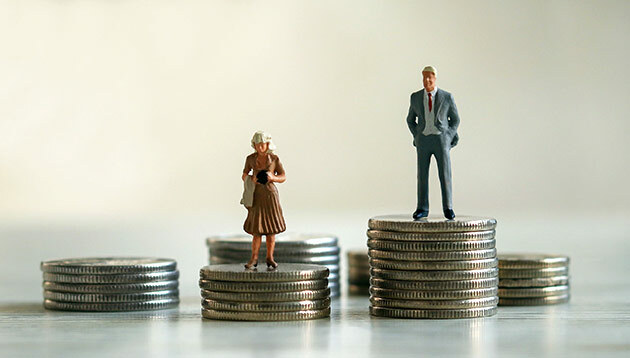 Christa Stolle, managing director of TERRE DES FEMMES, explained: “The gender pay gap experiment exposes the political efforts taken in the interests of gender equality in recent years. It shows that women are still a long way from being treated equally. Politicians must finally act and promote the effective implementation of equal rights and pin them down by law. The university's courses will be led by current Deloitte leaders who will share on-the-job experiences in a tailored classroom set..